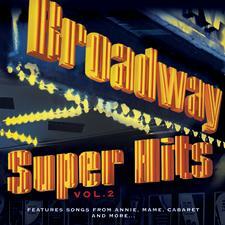 Three-time Tony Award®-winning American musical theatre composer Charles Strouse (b. New York City, June 7, 1928) has written over two dozen shows over his fifty-year career (not every one of them a smash hit like Bye, Bye Birdie, Applause, or Annie) and contributed music to film (Bonnie and Clyde 1967) and television as well. He has created classical concert pieces and popular singles, theme music and opera. Millions of television fans will remember Carroll O’Connor and Jean Stapleton’s weekly rendition of Strouse’s “Those Were the Days” as the introduction to the classic sitcom All in the Family. 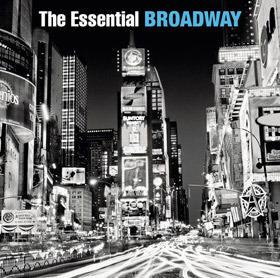 Growing up in New York City, Charles Strouse immersed himself in Broadway. He got his formal music education at the Eastman School of Music in Rochester, studying with Aaron Copland, David Diamond, and Nadia Boulanger, and at twenty-four was turning out incidental music for the summer stock theatre in Warrensburg, NY. For his Broadway debut, he contributed two songs to The Littlest Revue in 1956, and a few months later wrote some music for a short-lived play, Sixth Finger in a Five Finger Glove. He had a number-one hit single in 1958, “Born Too Late,” sung by The Poni-Tails. Strouse and Adams rode their success to a college-football musical comedy called All American (1962), with book by Mel Brooks and starring Ray Bolger. Though it left a solid legacy with “If I Were You” and “Once Upon a Time” (later recorded by Frank Sinatra, Tony Bennett, Bobby Darin, and others), the show itself was not a box-office hit. Their next offering, a musical adaptation of Clifford Odets’s drama about boxing, Golden Boy (1964) starring Sammy Davis, Jr., did considerably better, winning four Tony® nominations and running for 568 performances. Following this in 1966 was Strouse’s first comic-strip musical, It’s a Bird, It’s a Plane, It’s Superman, which was a disappointment despite three Tony® nominations. Four years later, Lauren Bacall took the lead in Applause, and Strouse and Adams had the smash hit they had been working for since Birdie. Adapted by Betty Comden and Adolph Green from the 1950 film All about Eve (starring Bacall’s idol, Bette Davis), Applause won three Drama Desk Awards and four Tonys®, including Best Musical and Best Actress for Lauren Bacall. In the early ’70s Strouse was busy with a number of minor projects: a short-lived London production of I and Albert, incidental music for a revival of The Member of the Wedding that flopped, an anthology show By Strouse. Then in 1977, with the collaboration of lyricist Martin Charnin and book-writer Thomas Meehan, Strouse had his biggest hit ever, Annie. Its tryouts at the Goodspeed Opera House in Connecticut were notoriously rocky, but like its plucky little heroine, it survived and conquered. 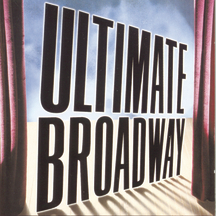 With a plot loosely based on the comic strip Little Orphan Annie, and hit tunes “Tomorrow,” “You’re Never Fully Dressed without a Smile,” and “It’s a Hard-Knock Life,” it won seven Drama Desk Awards, seven Tony Awards® including Best Musical and Best Score, and ran for nearly six years, 2,377 performances. 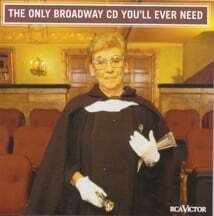 Strouse picked up two Grammys® for the original cast album as well as the ASCAP Standard Award for “Tomorrow,” the most performed song of the decade. 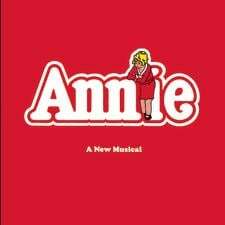 Annie has gone on to enjoy national and international tours, a translation to the silver screen (1982), a twentieth-anniversary revival, a television broadcast (1999), and innumerable school and community productions. 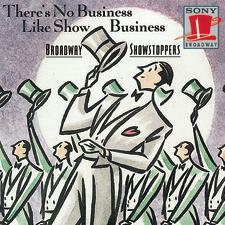 Strouse partnered with Lee Adams again in 1978 for A Broadway Musical, which did not survive its opening night. 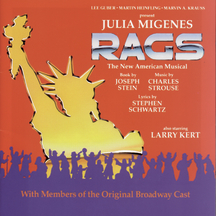 Several lackluster efforts followed in succession: Charlie and Algernon (1980) with lyricist David Rogers, Dance a Little Closer (1983, another one-night stand) with lyricist Alan Jay Lerner, Mayor (1985) with Strouse’s own lyrics, Rags (1986) with lyricist Stephen Schwartz, Nick & Nora (1991) with lyricist Richard Maltby, Jr. There were even attempts made to resurrect the charismatic Conrad in Bring Back Birdie (1981) and adorable Annie in two separate sequels, Annie 2: Miss Hannigan’s Revenge (1990) and Annie Warbucks (1993), but all these were embarrassing failures. Strouse has had important new works presented in venues other than Broadway. In 1982 he wrote an opera for children, Nightingale, after a Hans Christian Andersen story, for production in London starring Sarah Brightman. It has since been performed often in the U.S. and other nations. Another anthology revue mounted in London, A Lot of Living (1996), garnered favorable notices. Real Men, for which Strouse wrote both music and lyrics, premiered in January 2005 at the Coconut Grove Playhouse in Florida, and another musical Studio premiered in August 2006 at Theatre Building Chicago. Two new musicals by Strouse are anticipated, both based on well-known movies: Paddy Chayevsky’s 1955 film Marty and the comedy The Night They Raided Minsky’s. Strouse is also reported to be working on an adaptation of Theodore Dreiser’s An American Tragedy. Charles Strouse was founder in 1977 of the ASCAP Musical Theatre Workshop in New York, a forum for young composers and lyricists. He is married to director-choreographer Barbara Siman and has four children.